Adele has apparently given up sugar and follows a clean diet that includes more fruits and vegetables—factors that have certainly contributed to her recent weight loss success. But there might be more that explains her weight loss than munching on veggies. The latest diet craze is the sirtfood diet, which claims that certain foods will help a person lose weight because they help stimulate the metabolism and burn fat. Researchers believe that these foods trigger particular proteins in the body called sirtuins, which are thought to protect cells from dying when under stress. Sirtuins are also thought to regulate inflammation and aging—as though we needed another reason to indulge in chocolate and red wine! The sirtfood diet plan calls for a low caloric intake for the first week at only 1,000 per day—the normal caloric intake for an adult woman is 1,600 to 2,000 calories. During the second week, the caloric intake bumps up to 1,500, and then after that there’s no guideline at all. What’s more important at that point is that you stick to a diet rich in sirtuins. 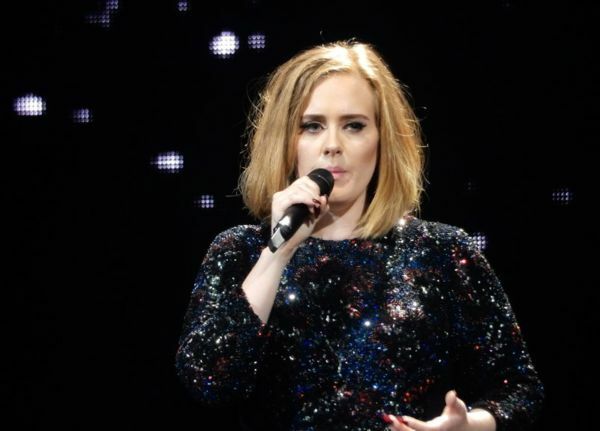 Has Adele Switched to a Sirtfood Diet? Since her return to the music scene last November (the musically gifted English singer’s latest album 25 has been breaking records globally)—Adele has sported a new look and slimmer figure, and the weight loss has been partly attributed to eating a clean diet packed with fruits and vegetables, lean protein, complex carbohydrates, and giving up sugar (which she consumed a great deal of from her tea intake alone—10 teas a day with two sugars each). Adele has also quit her smoking habit, which contributes to good health and a boost in energy, but it’s the sirtfood diet plan that seems to have helped her health and weight loss the most. “Adele Reveals the Truth behind Her Weight Loss,” LOOK web site; http://www.look.co.uk/news/adele-weight-loss, last accessed June 23, 2016. “Daily Recommended Caloric Intake for Women,” SF Gate web site; http://healthyeating.sfgate.com/daily-recommended-caloric-intake-women-6675.html, last accessed June 23, 2016. “What Is the Sirtfood Diet—And Why Is Adele into It?” Well and Good web site; http://www.wellandgood.com/good-food/sirtfood-diet-adele/, last accessed June 23, 2016.